Can I afford to divorce? 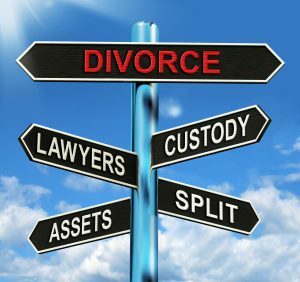 Cheshire divorce solicitor. Can I afford to divorce? When faced with the end of a relationship there are many competing problems; both financial and emotional. No two people have the same family arrangements and modern life can mean that, by mid life, there are legal issues to address relating to children from a past relationship, the distribution of financial assets owned in a relationship when you divorce or anticipating how a new relationship will own assets as you live together. Solicitors have traditionally charged for advice, negotiation or representation by the hour, with no way of keeping control for you. It is becoming common practice today for legal work to be carried out by family law solicitors for a fixed fee. Stonehewer Moss solicitors in Northwich, Cheshire can help you decide on the best funding option to help you keep control of at least the financial cost of family disputes, while you also have to come to terms with the emotional side of the break up. Representation if the case is at Court already or it is advisable to let a Judge decide your case. Each of the options can be charged on a fixed basis. For example, but by no means meant to limit the scope of fixed fees, the fee for negotiation at two meetings that could result in an agreement might be £1000 inclusive and that is what you pay no matter how many hours that step takes to be reached. This approach to charging by solicitors can help you budget and reduce the emotional conflict if used with alternative ways to settle with your ex by meetings instead of at Court or by anxiously waiting for the next letter to arrive. Cheshire solicitors Stonehewer Moss can quote fixed fees at an initial no obligation consultation and have a published list of fixed fees available upon request. For more details please visit the website at www.stonehewermoss.co.uk, give us a ring on: 01606872200 or e mail our Family Law Solicitor at: michael.brennan@piplaw.co.uk. This article was added on Wednesday, October 21st, 2015 at 12:50 pm and is categorised under Child arrangements, cohabitation disputes, collaborative law, Divorce, divorce finances, Family finances, Family Law, General News, Runcorn News, Warrington News, Winsford News. Both comments and pings are currently closed. Error: Error validating access token: Session has expired on Saturday, 09-Mar-19 13:12:58 PST. The current time is Thursday, 25-Apr-19 05:58:18 PDT.